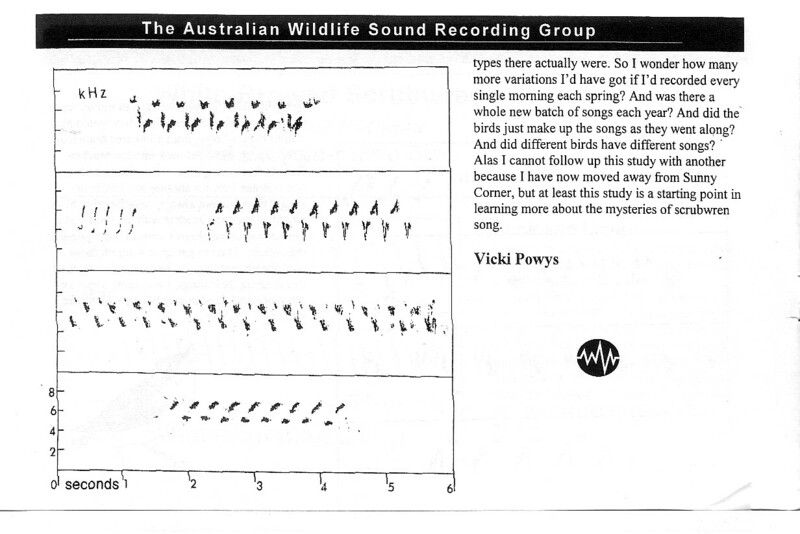 This 3-page article was published in Audiowings, the journal of the Australian Wildlife Sound Recording Group, Volume 5 no. 1, June 2002. 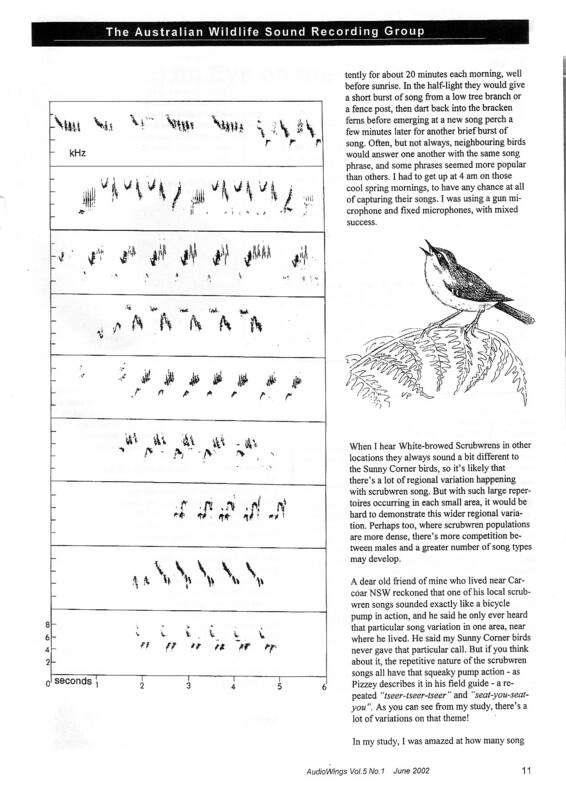 It shows that there can be a large repertoire of song types from any one location, and shared by all the birds at that location. 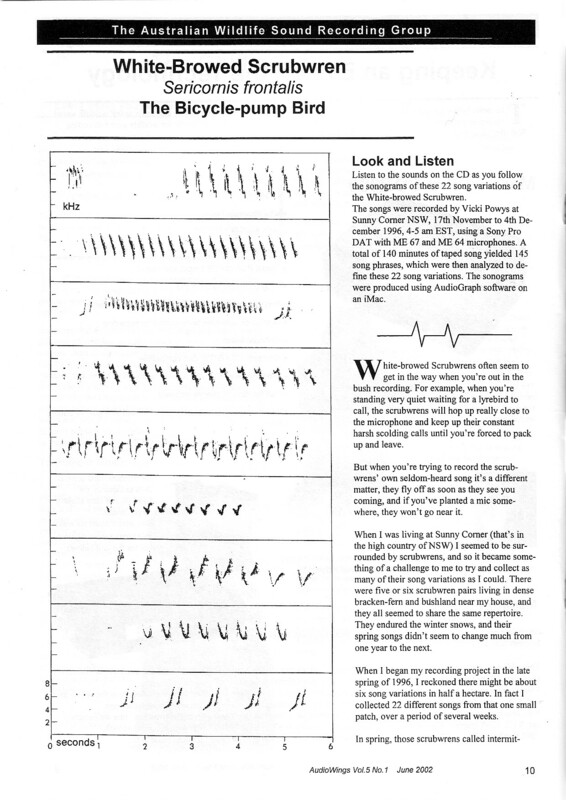 A medley of the songs in mp3 format is included at the start of the article, and will play in the same order as the sonograms. You can also download the article in pdf format (1.2 mb) here.